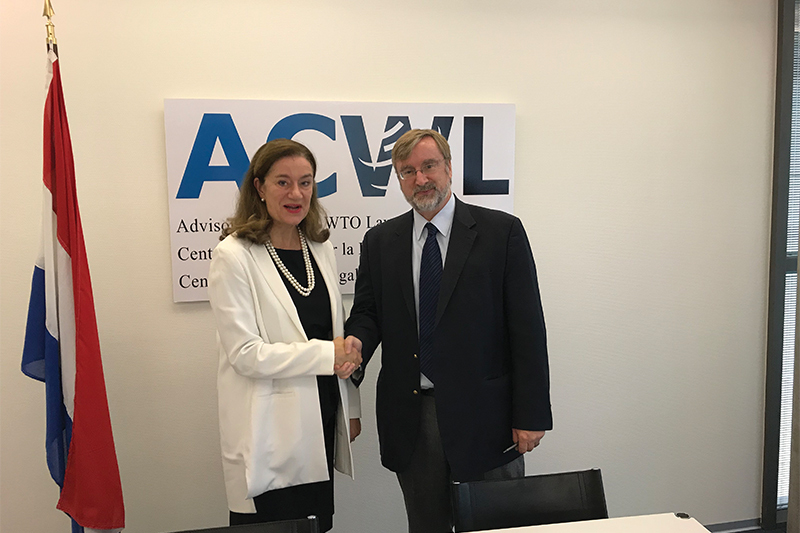 The Netherlands has announced that it has committed to provide financial support to the Advisory Centre of WTO Law (AWCL) in the total amount of CHF2,500,000 over the next five years. Established in 2001, the ACWL is an international organization located in Geneva that provides developing countries and least-developed countries (LDCs) with the legal capacity necessary to enable them to take full advantage of the opportunities offered by their membership in the WTO and in the rules-based multilateral trading system. At a ceremony at the offices of the ACWL, the Netherlands Ambassador to the WTO, Mme. 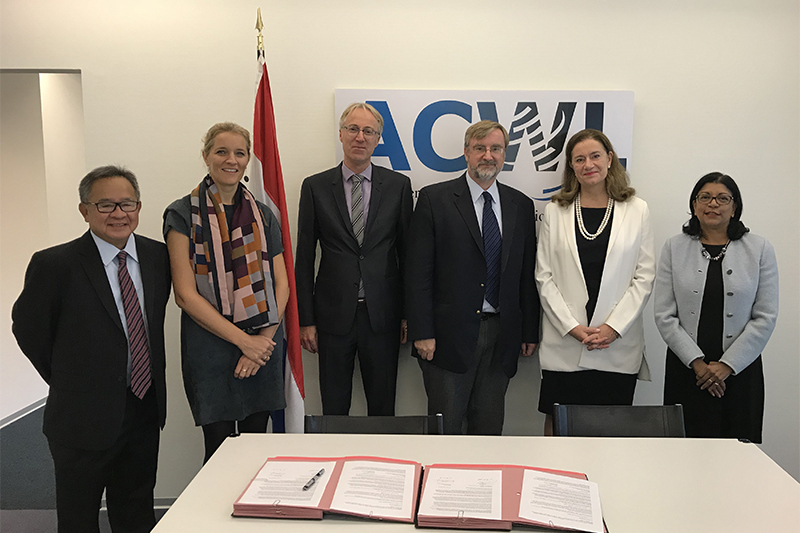 Monique van Daalen said that “As one of ACWL’s founders, the Netherlands is proud to announce its continued support for this important organization. The ACWL provides developing countries with legal capacity to participate fully in the WTO. In doing so, the ACWL contributes significantly to the credibility and hence viability of the rules-based multilateral trading system. The Netherlands also benefits since we can trade with others in a secure and predictable rules-based multilateral trading system”. Niall Meagher, Executive Director of the ACWL, thanked Ambassador van Daalen for the Netherlands’ strong support for the ACWL’s activities: “The Netherlands was instrumental in the establishment of the ACWL and, since its creation, has been a consistent supporter of its activities. We are therefore very pleased that the Netherlands is continuing its support for the ACWL. I would like to thank all our Dutch colleagues in Geneva and the Hague for their hard work and enthusiasm in enabling this continued support. We look forward to continuing this successful relationship”. The ACWL assists developing countries and the LDCs by assisting them in WTO dispute settlement proceedings, obtaining legal advice on the WTO-consistency of their domestic laws, as well as other countries’ laws, and fully understanding the legal implications of negotiations of new rules in the WTO. Thus, the ACWL provides its developing country Members and the LDCs – at present, 79 countries – with permanent access to specialised legal advice on these matters and thereby contributes to the fair and inclusive nature of the rules-based multilateral system. Training on WTO law through annual courses, a secondment programme for government lawyers and other seminars and workshops.